Explore the topics and speakers of the Assets 2019 educational program, including pre- and post-conference courses for added training. A warm welcome to all conference attendees. Join Heritage Auctions and ISA Leadership in celebrating first-time conference attendees and new ISA members. The traditional presentation, cataloguing and sales offerings of auction categories has experienced a series of permutations in the last few years as auction houses focus their efforts on capturing the attention of emerging collectors with interests as diverse as their cultures. 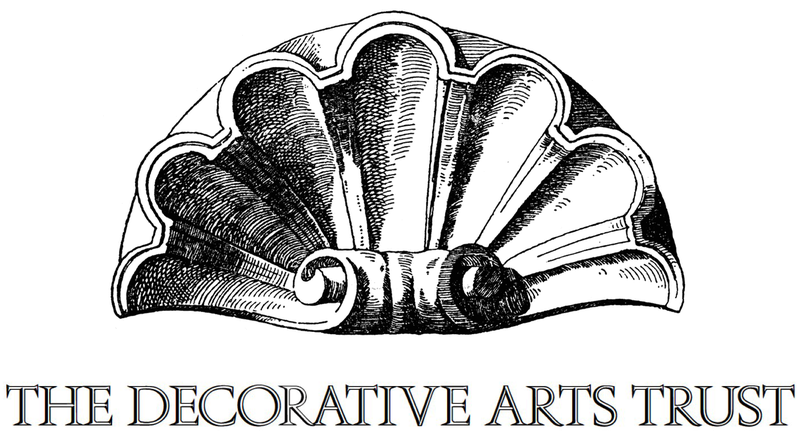 The most significant shifts are within the broad field of decorative arts where individual categories and historic decorative arts are being re-contextualized to promote contemporary lifestyles of these connoisseurs and collectors. Scott Fintzen, a Partner in Gaido-Fintzen, ISA's legal council, will discuss ethical concerns that all appraisers should be aware of. He will help demystify the relationship between ISA’s Code of Ethics and USPAP. Mr. Fintzen will also discuss issues frequently asked about such as antitrust for appraisers and chapters and how Fair Trade/Free Trade applies to ISA members. Everything has a price, but not everything is priceless. In the world of historic artifacts and memorabilia, it is not always easy to find comparable sales. An item linked to a historic person or event may have a value far beyond their intrinsic value. Using case studies and examples, we will go through different approaches and methods to valuing and appraising historic items, and how to find comps where there are no comps to be found! Please Enjoy Lunch on Your Own. This discourse will review a particularly American history of silver, in its many incarnations, to demonstrate its rise- before and after the country’s supply of the precious metal - to its fall, post WWII to today. There will also be an explanation of the silver that still has social, monetary and utilitarian value. Forms and favorites that are still in demand will be examined, as well as important silver markets that still exist and, finally, what to tell clients to do with the rest. This presentation will discuss the types of bronzes many collectors have in their homes. Better understand classification types, identification (original, lifetime and posthumous casts) and condition issues which effect value and are essential to connoisseurship. Mr. Bryan will share personal experiences and discuss who he employs to help with acquisitions, collection and exhibition management, restoration and conservation, shipping and storage of works and preparations for the future of his collections. Learn about appraisal opportunities when working with collectors and how to expand your appraisal practice by networking with other professionals providing ancillary services to your clients. The art and collectibles markets are faced with better prepared, more skeptical and more risk averse buyers whose wants and needs are changing. Many believe that modern technologies should be embraced to improve their clients’ experiences - that’s where blockchain can play an important role. In this session Nanne Dekking will discuss the advantages and potential pitfalls of blockchain technology and its application to art and collectibles. Using traditional resources joined by new technologies - ranging from internet databases to advanced scientific analysis - appraisers now have the ability to ask questions that would have been impossible to answer in the past. This gives examining furniture new meaning. Is it real, or is it fake? Explore how scientific analysis can be combined with a knowledge of the history of artists’ materials and the history of technology, allowing the ability to rule out paintings with anachronistic materials and/or forged provenance and faked labels. Case studies will be provided to show when it is useful to consult with a scientist on attribution issues and how science can identify appropriate evidence of age in a work. As “The Greatest Generation” continues to depart the stage, an increasing amount of primarily WWll military memorabilia is discovered in estates. In this session, appraisers will be introduced to resources for proper identification of this material. Current market trends for the purpose of valuation and issues of historical and cultural sensitivity that often emerge as concerns when 20th century military souvenirs are brought to the market will be explored. As fine art photography has transitioned from an emerging to a mature market, digital processes have replaced wet darkroom analogue practices, resulting in new challenges to properly identify photographic prints and establish market values. Stoneware and Earthenware from the Southeastern United States continues to gather interest in the antique market, starring in museum exhibits as well as generating new research and publications. This presentation will examine what pottery forms, glazes, decoration, and makers result in higher values in the current Southern pottery market. This presentation will focus on construction and how different tribes and manufacturers weave their rugs. Ms. Amirkhan will also address the many challenges of looking beyond the characteristics of design. ZuCot Gallery has grown to become the largest fine arts gallery in the southeastern United States focusing on living African American artists from across the country. Gallery partner Onaje Henderson will discuss the art market’s emerging interest in works by African American artists and the effects of this “new found” discovery on the overall state of African American art. Renee Newman, a respected gemologist and author, will give insight on how to test and evaluate quality metals. Gold and platinum jewelry markings and how Fair Trade markings effect value will be explored. Michael Foley will present a brief biography of John James Audubon, his family and their place in the story of natural history illustration. He will discuss Audubon’s principal works as well as modern editions, restrikes and reproductions. Tips on the connoisseurship and valuation of Audubon prints will be shared including the state of the current market what is influencing it. Susan Reigler will explain how to appreciate bourbon like a Kentuckian. The session will include some basic advice for knowing if that dusty bottle found in the closet is of collectible value or not. Helpful resources will also be shared. Please join the Foundation For Appraisal Education as we celebrate the winning excellence of our members at the Kentucky Derby Museum. Coaches will depart from the Brown Hotel every 20 minutes beginning at 6:00 PM and return guests to the hotel every 20 minutes from 7:00 PM until the end of the evening. See the official invitation for more information. Hosted by Treasures Estate Concierge Services, Inc.
Education Director Meredith Meuwly will lead a panel of ISA Instructors as they discuss a number of prevailing methodology questions many appraisers commonly have with the report development and writing processes. Q&A will follow. This two day course is a review and update of ISA's Appraisal Standards covering significant recent changes, including those in the ISA Core Course Manual, the IRS, and the insurance industry. The class is a requirement for requalification and provides current guidelines, checklists, and forms helpful for every member. No exam is given. Exhibit at Assets and explore year-round opportunities to connect with ISA members as an Affinity Business Partner.